Home security cameras can take your TELSCO security solution to the next level. To supplement our trusted 24/7 monitoring services, the installation of a professional security camera can help you keep a watchful eye—literally—on your home when you can’t be there. While wireless security cameras are available at electronics stores, they do not offer the same quality of images and capabilities as our TELSCO products. Our consultants will work with you to understand your needs and design a custom solution for your home and lifestyle. With TELSCO Connect, it is easier than ever to log in and view live video Anytime – from Anywhere! 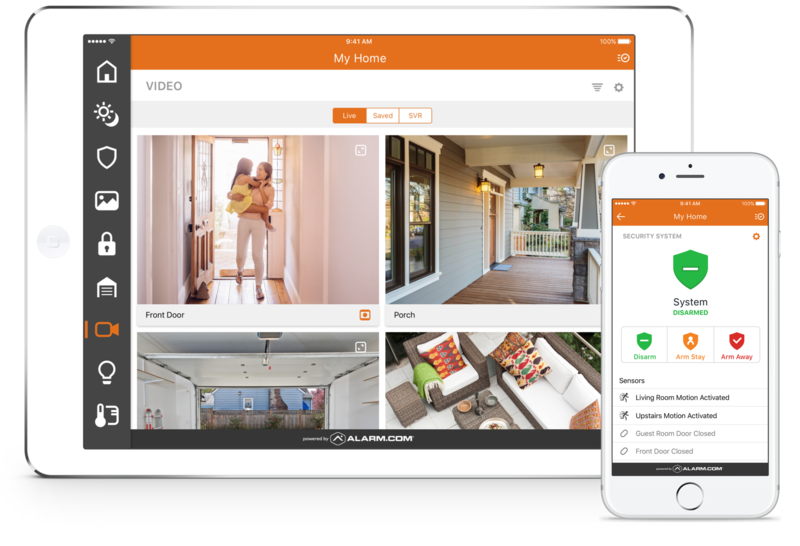 When you integrate video with your security system, you can receive video alerts when any system activity is detected. See what’s happening if the system is disarmed unexpectedly, or if the alarm goes off. You can receive notifications by text or email, and customize them by time, day, camera and motion. HD quality and great low light performance make for crystal clear video. With Tamper-resistant offsite storage, wireless communications, and cloud hosting you can have confidence in the reliability and security of your video connection. As part of your Video Solution, we also offer a Video Doorbell that allows you to see and speak to visitors at your door, from anywhere in the world. If you would like more information about home security cameras, motion detectors, or home security systems in general, please contact our friendly, knowledgeable sales staff. We don’t do cookie cutter packages. You are unique and all of our packages reflect this! A complimentary consultation (on the phone or in your home) will allow us to design a custom package just for you.